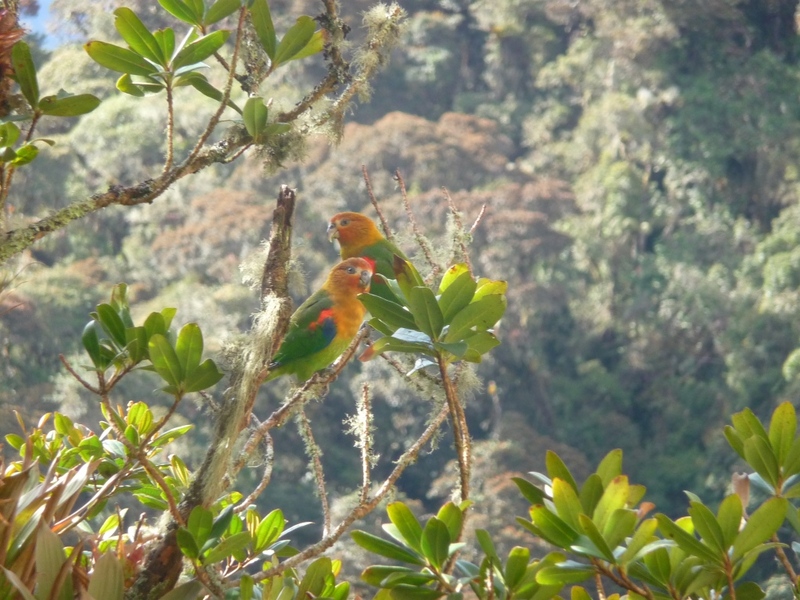 In recent months we found 7 artificial nests occupied by two species of parrots, the Yellow-eared parrot (Ognorhynchus icterotis) and the Rusty-faced parrot (Hapalopsittaca amazonina) in two ProAves Reserves. During this time we made ​​visual observations, documented their reproductive behavior consolidating a database, updated and refined monthly. The census of the population of the Yellow-eared Parrot (Ognorhynchus icterotis) took place in the Yellow-eared parrot Bird Reserve located in the municipality of Jardín, Antioquia, where, with the help of the community and the reserve’s warden, the counting of individuals, the location of nests and strategic viewpoints was performed. 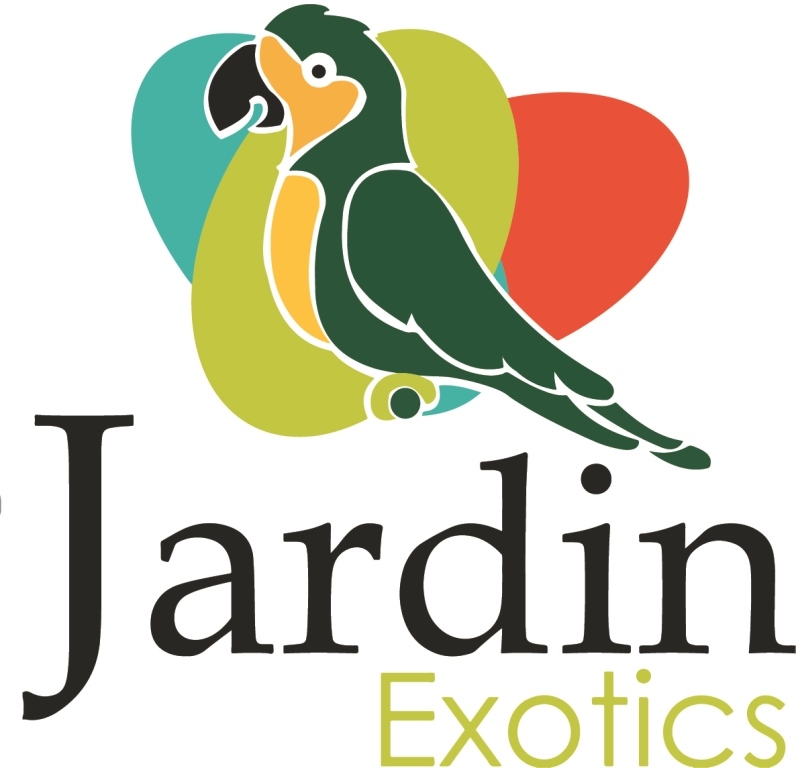 Until March, the Yellow-eared parrot used four artificial nests located in the reserve and through visual observations the reproductive behavior of the species was documented. Partial results indicate that parents leave the nesting area between 6:00 and 6:30 am in direction of foraging areas; they return to the nest between 10:00 and 10:30 am, and sometimes perch in palms near the nest; it has been observed that an individual will perch on the nest, while the other sits in another palm (apparently behavior to monitor the area) then one of them enters and in about 5 minutes feeds the chicks. When their parents are not around, the chicks do not make any sounds. During the first half of 2015, we noticed slight fluctuations of the population. For the month of January we recorded a greater presence with 220 individuals, but in subsequent months there was a slight decrease: January 180 individuals, 130 individuals in March and April 150 individuals. Some variations in the frequency of use of the main nests, correspond to the presence of reproductive events and the supply of food in remote sites from the reproductive nucleus. The census of the population of the Rusty-faced parrot (Hapalopsittaca amazonina) were made ​​during March, April and May we found three of the artificial nests in the Dusky Starfrontlet Bird Reserve occupied, two of the nests are located on former pastureland in the process of natural regeneration and the third in the forest very close to the other two; according to the monitoring, each nest was occupied by three chicks. 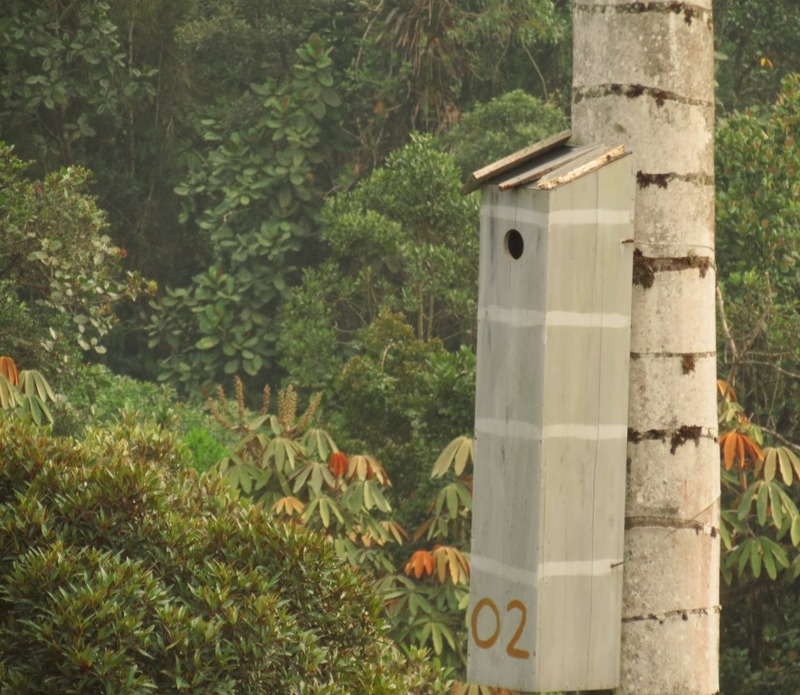 The monitoring of these species in the reserve and the installation of artificial nests are just some of the strategies being conducted by ProAves in order to avoid the extinction of the Yellow-eared Parrot and the Rusty-faced Parrot and help out with the low amount of natural nesting sites.